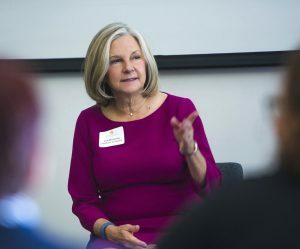 We sat down with Terry Cerisoles, SCMP, winner of the 2018 IABC Atlanta Lifetime Achievement Award, to learn more about what IABC has meant to her throughout her impressive career. 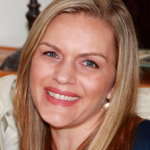 Here is what Terry had to say about her proudest professional accomplishments, women movingup in the profession and the people who helped shape her career. IABC Atlanta: Wow! Congratulations Terry on your lifetime achievement award from IABC Atlanta. What advice do you have for women communicators in the profession? Terry: The Communications profession has such diversity of disciplines, there’s something for every communicator. If you dig crises, that’s an area really in demand right now. If you love writing speeches or presentations, that’s a high value role in any company. 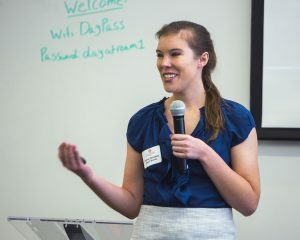 For women specifically, NEVER say “I’m not good at math, that’s why I love words.” Math is the language of business and is critical to your success if you are ambitious. 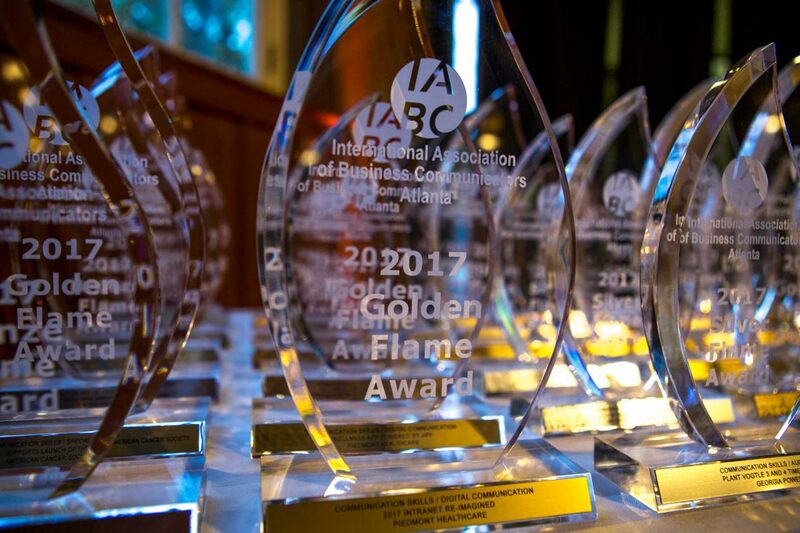 IABC Atlanta: What does this award mean to you? Terry: Frankly, I was stunned when told about it! I am so thrilled because it means that my contributions to IABC and IABC Atlanta are recognized and appreciated. IABC Atlanta: As you look back on your career, what are your proudest accomplishments? Terry: Winning my first IABC Atlanta Golden Flame award (way back when!). 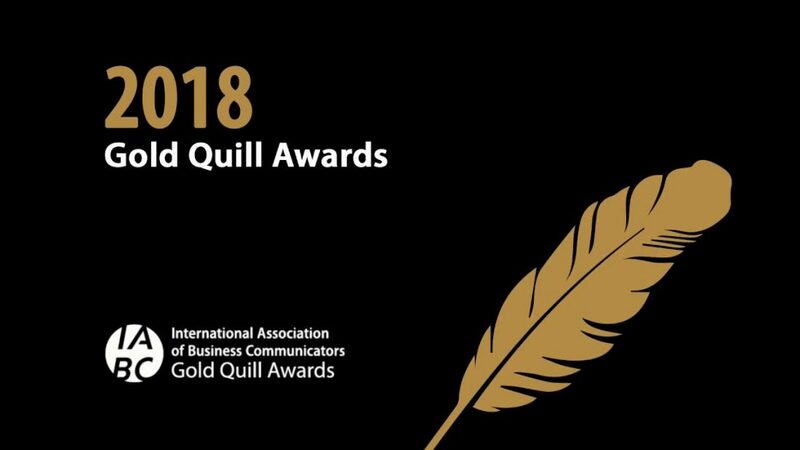 Winning my first Gold Quill (international award) and achieving my SCMP certification are definitely a couple more highlights. Though more recently, seeing my team win them was just as, if not more, satisfying. 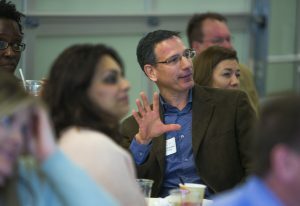 IABC Atlanta: Was there a specific person or event that really shaped your career? Terry: There are a whole lot of people but they are ALL IABC MEMBERS! They taught me good communication techniques, how to support one another and how to be a good leader. They gave me confidence and encouraged me to take risks. They also provided me with a lot of diverse opinions, so I gained new perspectives. I certainly would not have achieved the career successes I have without IABC! IABC Atlanta: What has your membership and leadership role in IABC Atlanta meant to you throughout your career? 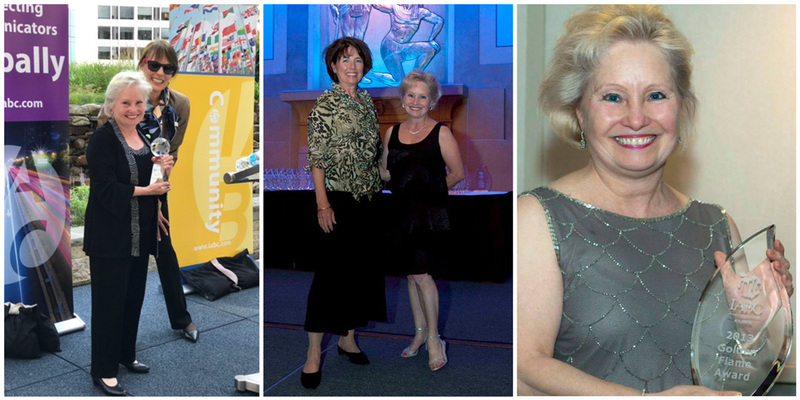 Terry: IABC has been – and continues to be – my extended family. I have turned to my IABC friends and colleagues for advice, for support, to share heavy loads and to challenge myself. I can still remember the day I was asked to consider a board position. I was absolutely thrilled, and that day led to years of different roles. I particularly loved leading Membership efforts. To me, it was so easy to share why I loved being a member. 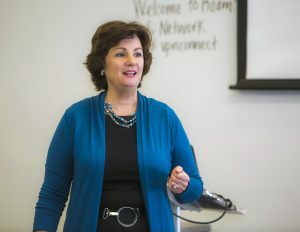 IABC Atlanta: Who do you admire and why? Terry: I’m a big Ruth Bader Ginsberg fan. Like me, she lost her mother at a young age and had a lot of challenges to overcome. She used her intellect and drive to take her rightful place in a very male-dominated field. She was a role model for me when I became the first female sports producer for Turner Broadcasting in my pre-communications career. My favorite quote about her from NPR is “She has a soft voice but says really devastating things in that quiet voice!” I admire her advocacy for gender equality and womens’ rights – and that she’s still doing that at 85! 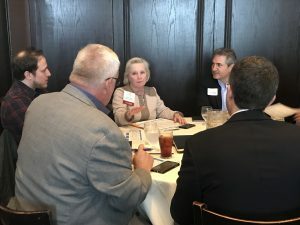 In Case You Missed It… An Overview of our March Networking Luncheon! WHY? What are some reasons you go to a cybersecurity company? My marketing team asked me that question. I said “to get better at being secure.” Apparently that is not the right answer – so I am asking you – why do you go? The responses were logical: Because they don’t know what they don’t know. Because of fear. To compensate for weaknesses in their business model. To mitigate risk. 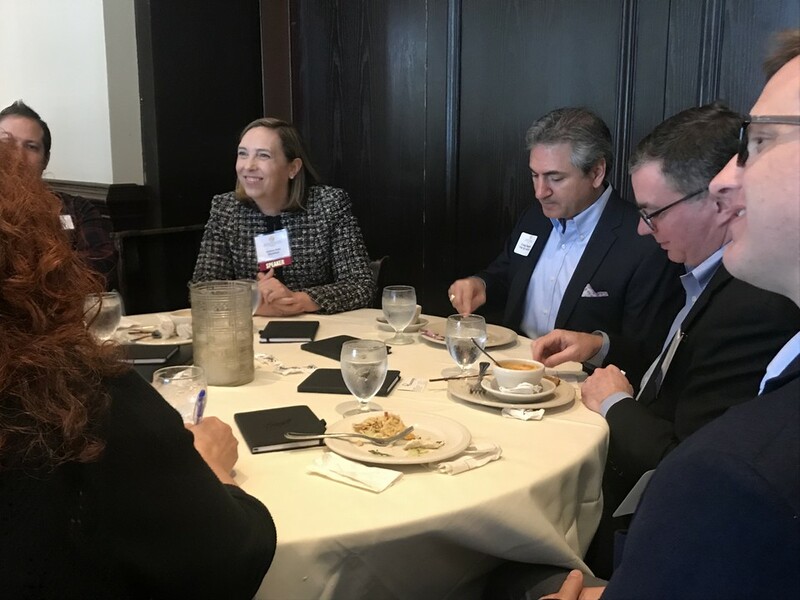 My response was a little different – because my professional focus is communications and engagement, and because I had just attended Doug Busk’s presentation at IABC Atlanta’s March luncheon. I sketched a story about scary people who work every day to get the information an organization holds about its amazing customers. And how the awesome people at the cybersecurity company do cool, innovative things to protect that information from the bad guys so that the organization’s customers are happy and can read stories to their kids at night. I hope that Doug, who’s Managing Director at MSLGROUP in Atlanta, would approve. 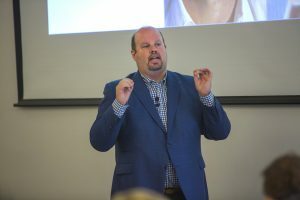 Doug explained to attendees that every company, no matter how big, boring, simple or predictable, has an interesting brand story. Today’s successful communicators and marketers draw out and broadcast the story, making the audience want to be part of it. That relationship is what converts marketing metrics (impressions and likes) into executive metrics (engagement and corporate reputation) that drive the company’s mission. Real, true stories that reflect a company’s priorities also humanize it. They make it likable. And people want to buy from companies that they like. Doug encouraged us to experiment with fun and new ways of sharing the stories. Document “the story behind the story.” Try out an emerging social platform. Go into the company’s team to source ideas. While some strategies may prove ineffective, Doug [who is clearly king of the marketing quips] reminded us that we must “test and fail to learn and scale.” A useful method for testing is to couple a small, strong team with smart freelancers who know the tool or process being tested. This enables quick iteration without commitment. Companies also must bravely partner with the outside world to share the story. Create a web page with timely, ready to use content and images. Give journalists ideas, content, breaking news. Encourage employees to brag about your company. Document your process for quickly responding to breaking news about your company or industry. Remember the C-level who asked the question at the beginning of this article? The reasons a customer might turn to a cyber-security are multi-fold, but, in the end, not nearly as interesting as the story that draws them there. As Doug pointed out, what matters is the journey there. With that in mind, a smart marketer on my colleague’s team might have responded with: “Because I lost my last job when 1,000 employees’ personal data files were hacked.” That is a story. 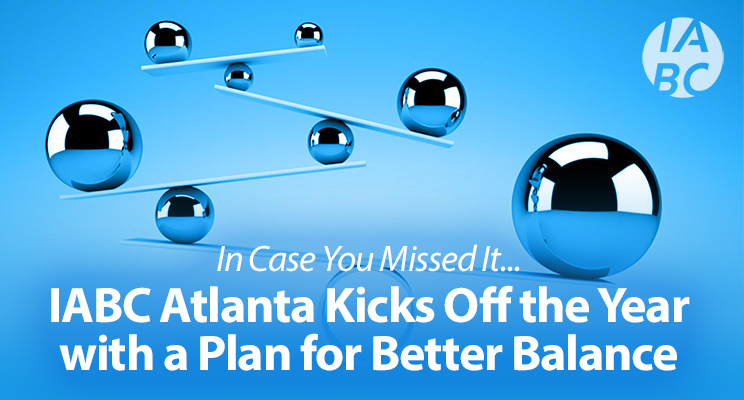 In January, IABC Atlanta launched our new and improved website. 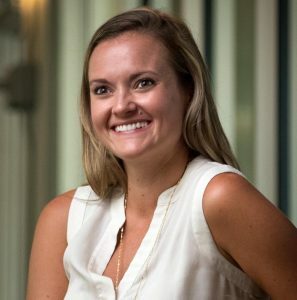 The clean design, slick integration with IABC Atlanta’s social media channels and easy user interface were the vision of incoming Co-VP of Communications, Cassidy Herrold. After the January luncheon, I sat down with Cassidy to learn more about her creative vision for the new face of IABC Atlanta. 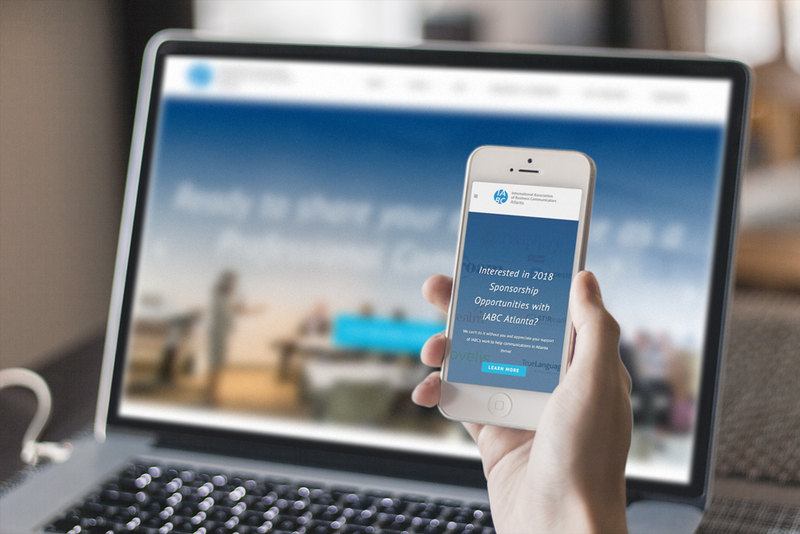 What was your vision for the new IABC website? Our website is a driving force in promoting our mission, which is to increase awareness that clear communications drive businesses. 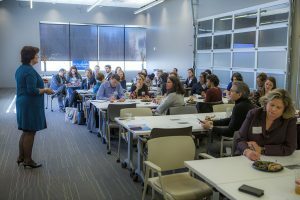 IABC Atlanta is the premier community for communications professionals, so our website needs to empower our site users to find event/networking information quickly and intuitively. 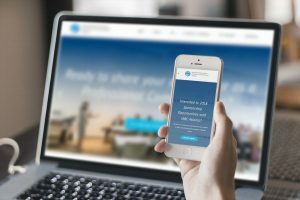 The new site demonstrates our global impact by integrating the latest IABC brand guidelines to create a cohesive brand image. The new site provides robust communication resources and focuses on creating an engaging experience that connects individuals, organizations and influencers. 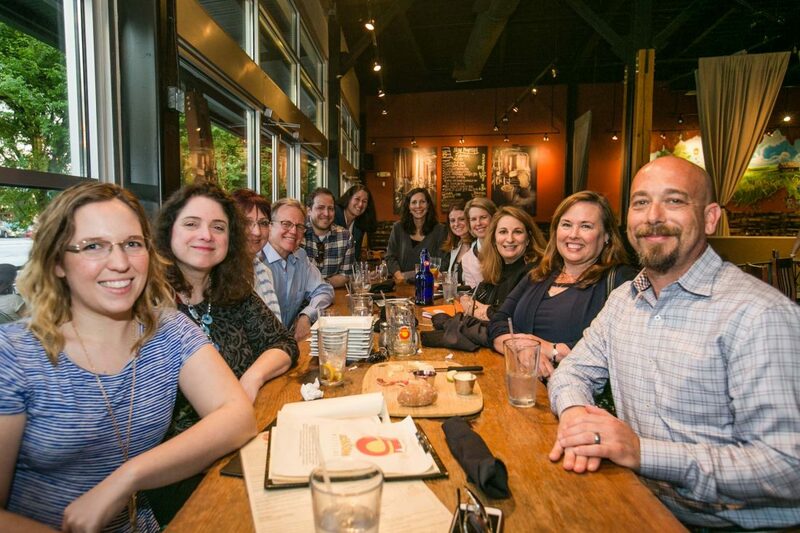 We are really confident that the new IABC Atlanta website will position our chapter well as we work to extend our reach, support our community, and grow membership. Tell us about some of the new features that you are most excited about on the new site? EVENT CALENDAR – The new website features a detailed calendar with email integration for iCal and Google calendars. Each calendar event lists general information regarding date, location and time, as well as a map and social sharing icons to promote the event on all social channels. 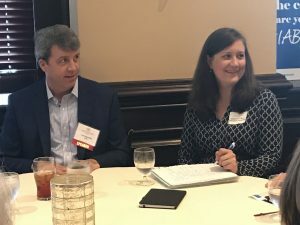 LATEST NEWS/PRESS SECTION – The Latest News/Press section is an area to post photos/videos from past luncheons and highlight any notable press for IABC Atlanta. 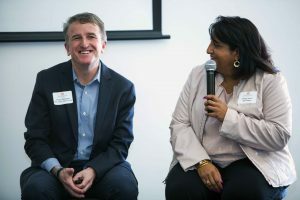 SOCIAL MEDIA FEEDS – With the increased focus on social media, the new site also streams IABC Atlanta’s tweets, posts and YouTube videos through a new social footer on the site. We also focused on integrating share icons on all blog posts, articles and event pages. Those of us who have done website redesigns in our professional jobs know how much work is involved in a project like this. Was there any part of the design and build that was really challenging? Really fun? The website redesign, development, and launch went very smoothly! When I started as a committee member, the website redesign was one of the first projects I wanted to tackle and it proved to be the best way to dive into IABC. We are the premiere communications association in Atlanta, and we wanted a website that really reflected the excellence we strive for as a chapter. From redefining the user flow to editing site content, the redesign was a great way to get to know the organization, our mission and our capabilities. What has your involvement with IABC Atlanta as a committee member meant to you? I joined because IABC’s mission really resonates with me. IABC empowers a global network of communicators working in diverse disciplines to identify, share, and apply the best communication practices. 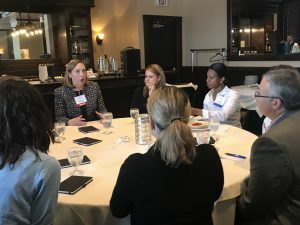 As a committee member, I value learning from experienced communicators and the vast professional growth opportunities that IABC Atlanta provides. When you aren’t designing amazing websites, tell us what you do in your day job? I’m an award-winning, multidisciplinary art director & designer at Mountain View Group with a love of smart ideas and an eye for pixel perfection. I have worked with a variety of clients (from Fortune 100 companies to small startups) with my core strengths in brand identity, interaction design, UI/UX, environmental design, film/photography, content creation and digital analytics. I design brand logos and identities for nationally recognized clients, and I have extensive experience creating brand guidelines/visual identity systems to ensure a consistent corporate identity. I develop, design, and launch interactive experiences, including multiple websites and mobile apps. Certified in both Google AdWords and Analytics, I also create strategic social media campaigns that exceed online traffic goals. At IABC Atlanta, we know many of our members and volunteers have the support of their employers for their participation in our chapter’s work. 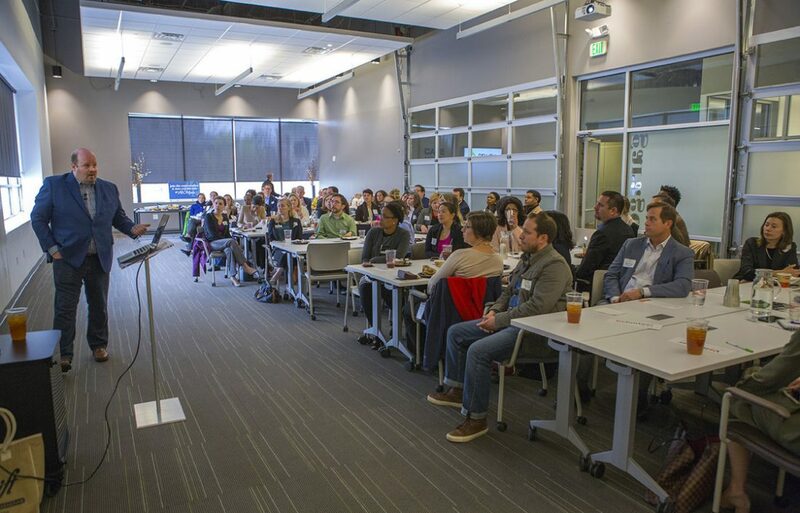 Smart employers know that good communication drives business in the Atlanta community. Can you tell us more about Mountain View Group? Mountain View Group is a creative agency specializing in corporate marketing, strategic communications, and culture transformation through storytelling, digital content, and design. For 30 years, Mountain View has worked with a diverse set of clients including GE, Raytheon, The Coca-Cola Company, Alcon, UPS, and CSM Bakery Solutions, among others. They help to build exceptional brand experiences and to bring clarity to communications that are crisp, compelling and authentic. Special Thanks! 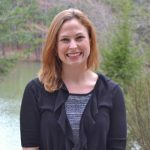 IABC Atlanta would like to thank Whitney Parks of Parks Evolution Marketing, for her critical role in this project and and the members of the IABC Board who helped review and create content for the new website.